We were delighted to welcome 5 new members to our group this month when we met discuss our entry into this year’s South East in Bloom and what we could do to better our bronze award last year. One of the areas we didn’t score very well in last year was ‘conservation and biodiversity’ and with this in mind we plan to turn the triangle at the top of Teston Lane (which is proving exceedingly difficult to cultivate) into a wildlife area. We already have the bug hotel there and you may have noticed the two bird boxes we now have. We are planning another clean up of the area this month and hope to promote more wildlife to the area, for example dormice and reptiles. The parish council kindly donated some money towards planters on the village green which will be coming soon. 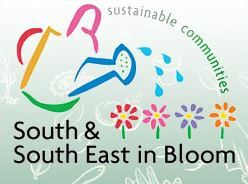 As we got a special mention at South East in Bloom for our sunflowers we would like to encourage everyone to get involved again this year. Judging this year of the tallest sunflower will be in August, a litte later this year to give our sunflowers a chance to grow another few inches. We are happy to provide sunflower seeds to anyone who is willing to grow them – please just let the editor know and we will be in touch. We are very excited as this year we are entering the churchyard into the competition – so we might come away with two prizes!! Sunday 12 May – Church plant sale – we will be making an appearance to offer cream teas and selling sunflower plants as well as bird and bat boxes. Sunday 16 June – Fathers Day - following our successful Fathers Day walk with refreshments en route last year, we are planning to repeat this – but with a scavenger hunt as well this year. Our aim is to make the village bright and colourful and we are very grateful to those villagers who have put out planters and planted bulbs on grass verges.